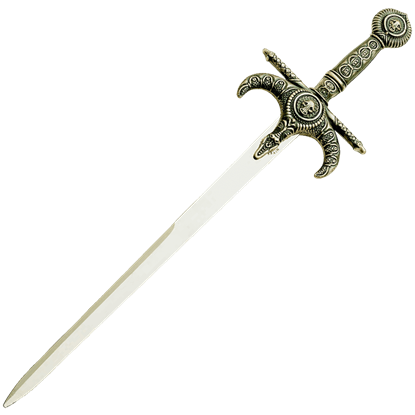 We have a large selection of miniature swords and medieval style letter openers. Our miniature letter openers come in popular designs based on swords like Excalibur, musketeers rapiers, Masonic swords, Templar swords, katana, El Cid swords, Viking swords, and much more. We have the ever popular Sword in the Stone letter openers that make great office desk accessories. We also offer stands for your miniature letter openers and sell them in sets as well. Our medieval letter openers are great decor for any office and are quite useful. The mini swords make great gifts at weddings, themed parties or as stocking stuffers at Christmas. 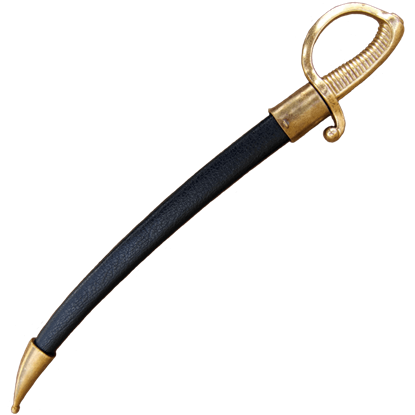 Embodying the classic design of an Italian stiletto, the 17th Century Italian Stiletto Letter Opener is functional letter opener and a magnificent means to display your interest in this historically important weapon. Alexander the Great, also known as Alexander III, king of Macedon, was one of the most successful military commanders in history. 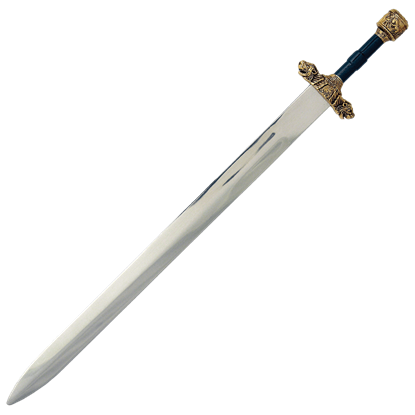 The Alexander the Great mini sword is a fine miniature of the larger sword produced by Art Gladius. Bayonets were used by many countries during WW2, including the United States, as seen in this miniature replica. 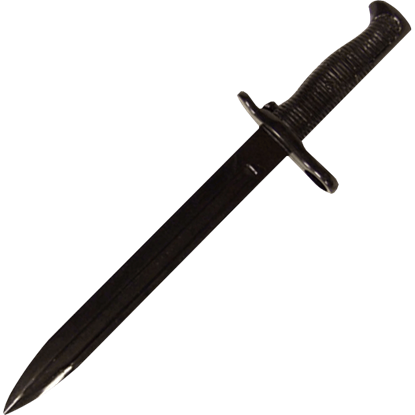 The American WW2 Bayonet Letter Opener lets you make use of one of these fantastic historical weapons. Few apocalyptic figures are as well-known as the Four Horsemen. These figures herald the end of the world. This Apocalypse Riders Letter Opener, by Marto, depicts the four horsemen on their deathly ride across the mortal realm. Dragons are powerful, terrifying creatures, and the Armored Blue Dragon and Sword Statue is no exception to this fact. 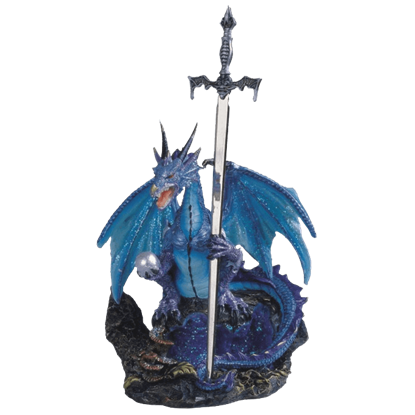 This amazing fantasy statue depicts a fearsome blue dragon clad in metal armor, holding a sword in its talons. Typically remembered as cruel and rapacious, Attila the Hun is still predominantly remembered today thanks to his military prowess. 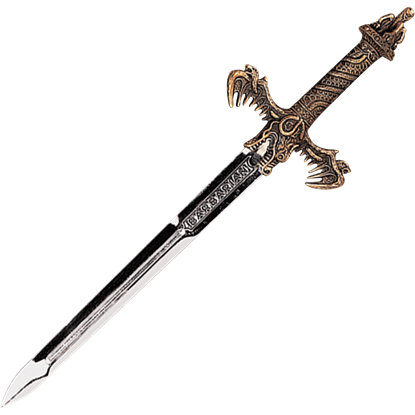 Celebrate this great leaders military strength with the Attila the Hun Letter Opener, by Marto. 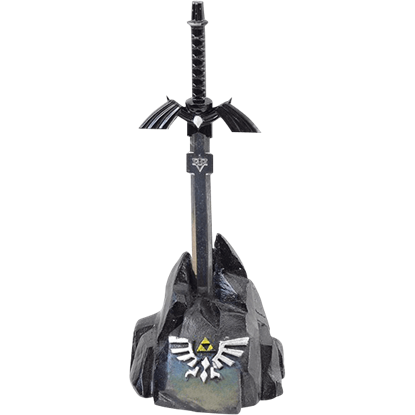 Whether you prefer a stark blade or feel a link to the darker side of fantasy, this Black Hero Sword Letter Opener is a capital choice. 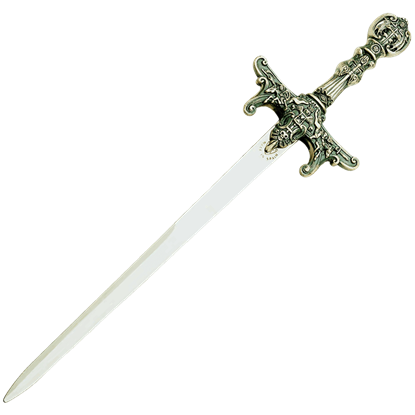 Display the miniature sword on a table, desk, or shelf with the included polyresin stone base. 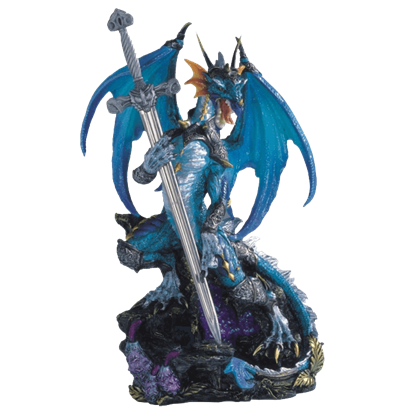 The Blue Dragon with Sword Statue is a fantasy figurine that depicts a detailed dragon perched atop a rock. Menacing and fierce, this dragon seems to protectively cling to the blade in its talons, as if guarding the sword. Are you pure of heart and strong of body? If so, you may wield the Blue Hero Sword Letter Opener, which will identify you as a true hero. 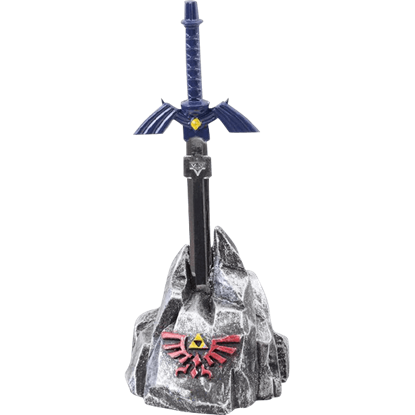 Display the miniature sword on a table, desk, or shelf with the included polyresin stone base. This miniature version of the French Briquet Sabre is famous for its ability to cleanly remove the necks of Champagne bottles. 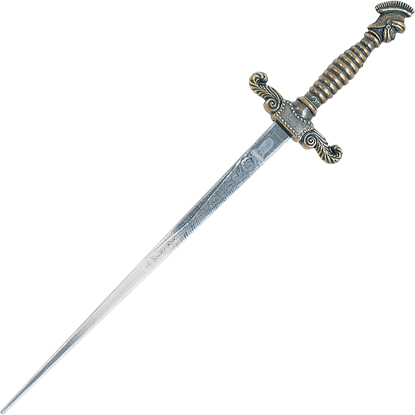 The Briquet Sabre letter opener is just like the bigger versions of Briquet Sabres. 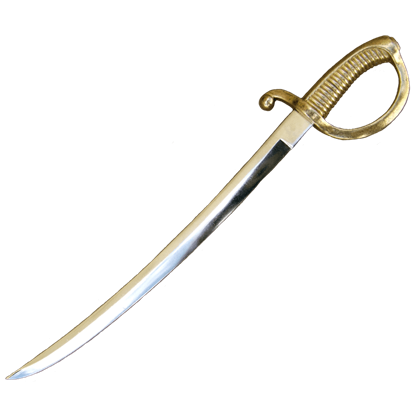 The Briquet Sabre letter opener comes with a scabbard and is made of cast metal. This Briquet Sabre letter opener is made in Spain from the manufacturer Denix. This Briquet Sabre is an excellent letter opener. These popular Toledo made Barbarian Mini Sword Letter Openers are made in two styles in bronze and pewter hilt finishes. Each Barbarian miniature letter opener is carded with its story told in English and Spanish in the card.